Art of the West showcases the dynamic and evolving world of art that springs from the cultural practices of some of the many peoples who have shaped the American West. This exhibition is the first of its kind to explore how shared values and interests have inspired artists from different cultures and times to create distinctive, powerful works that speak to their experience of the West as both a destination and a home. 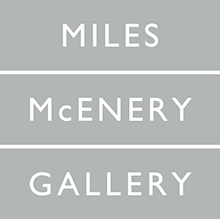 Organized around three primary themes—Religion and Ritual, Land and Landscape, and Migration and Movement—Art of the West displays historical works by such masters as Thomas Moran and Frederic Remington alongside more contemporary pieces by Georgia O’Keeffe, Virgil Ortiz, Luis Tapia, David Levinthal, and many others. 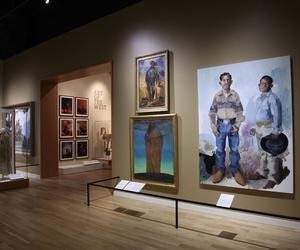 Shown with these icons are rarely seen artworks from the Autry’s rich collections, including the Southwest Museum of the American Indian Collection, as well as a selection of contemporary photography in Yosemite After Adams, which focuses on changing visions of this famous landscape.